Florida Skin Center (Lehigh Acres) - Book Appointment Online! 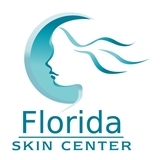 At Florida Skin Center, our aim is to maintain your skin's health through the most advanced dermatological techniques. We specialize in facial rejuvenation procedures, acne therapies, wart removal treatment, hair loss evaluation and skin cancer screening and treatment. We focus on treating the effects of the sun including wrinkling, skin cancers, precancers and age spots. We show you how to prevent future damage while still being able to enjoy our beautiful surroundings. We offer the latest in laser therapies for many conditions including wrinkle reduction, hair removal and brown spots. We treat adults and children of all ages for all skin, hair and nail conditions. They were wonderful. Very friend staff ...and answered all my questions. Dr Vedvyas and staff are excellent! Everybody is friendly and you can tell they enjoy what they're doing. You can tell it's genuine friendliness, too, not an act. Doc Vedvyas answered all my questions and was happy to give me the information I requested. This was my first visit to this office and I'm glad I found them!